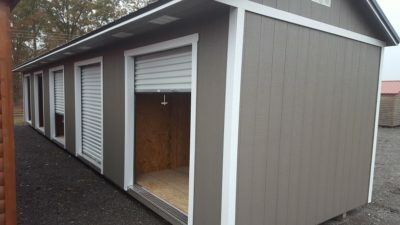 The Portable Multi Storage Shed Unit is available in various sizes. Each unit is lined with OSB. 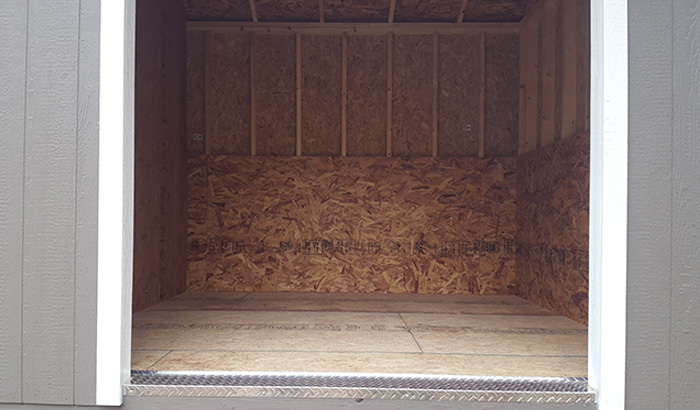 We offer an upgrade package which would include lights, heat & ac if needed to protect valuables such as personal photos, musical instruments, furniture, electronics, clothing, and more. 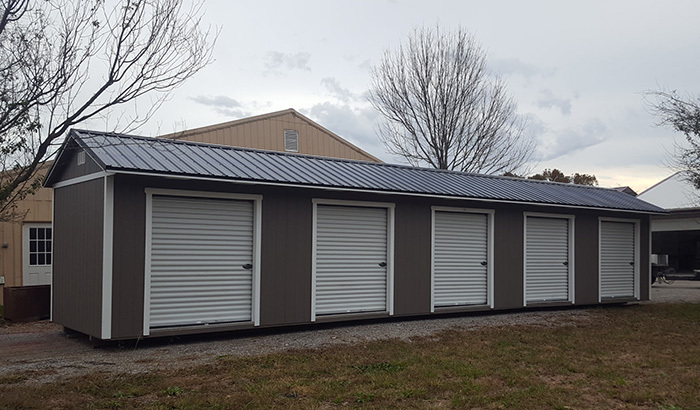 Larger sizes up to 14x50 available which would give you 5- 10x14 units in one structure.